With the GROHE Blue Mono tap, lugging around bottles of water will be a thing of the past. 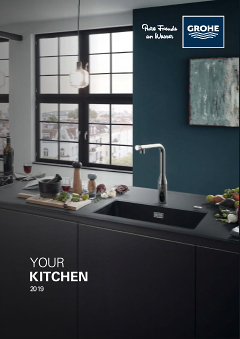 Mounted separately next to your regular kitchen tap, it delivers a purified table water with a wonderful fresh taste. Thanks to its high spout, even tall carafes can be filled quickly and easily.